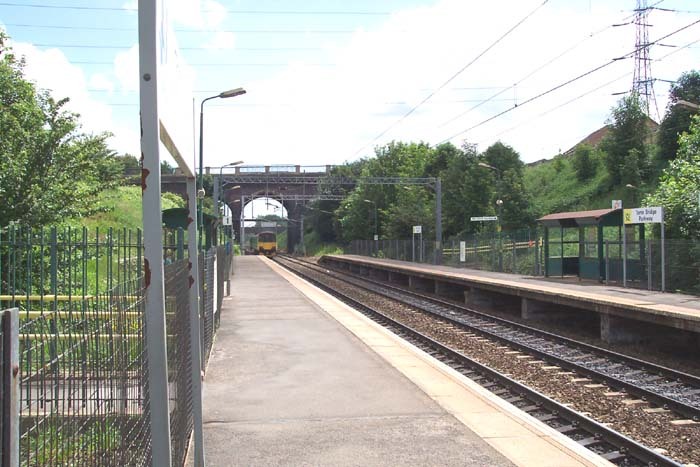 Tame Bridge Parkway station is a newcomer to the region's railway scene having only been built in 1990. 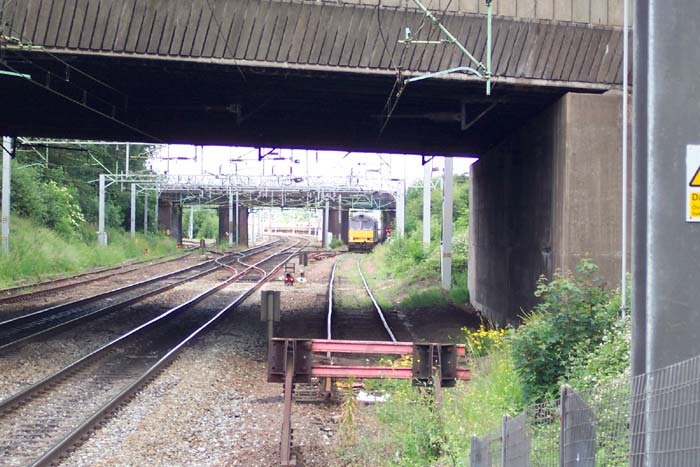 It sits at virtually the other end of Bescot yard from Bescot Stadium station on the line to Birmingham. 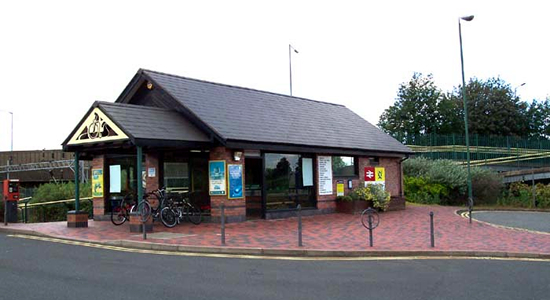 As with the majority of newly-built stations, with the exception of Smethwick Galton Bridge, it is functional but holds little interest for anyone who has an appreciation for original stations. Above we see the station building from the car park with the A4031 Walsall Road crossing behind it from left to right. Above-left we are on the Birmingham platform looking towards Birmingham with the Bustleholme Lane road bridge in the distance. There is a bus shelter on each platform and disabled access to each platform, one of the few good innovations in contemporary station design, via ramps either side of the station. 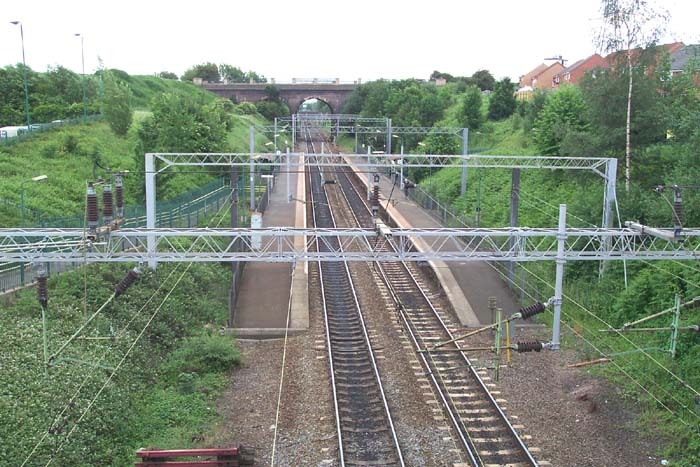 Above-right we are still on the Birmingham platform but this time looking towards Bescot Stadium through the Walsall Road bridge with the yard proper starting just at the second bridge that can be discerned: Sandy Lane. 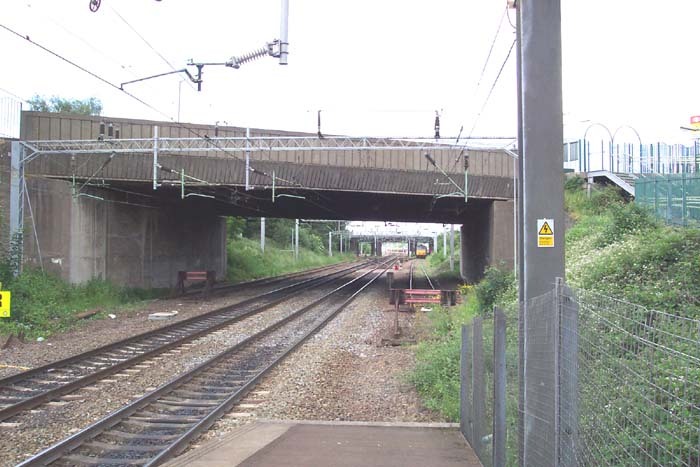 Above-right gives a clearer perspective on just how close to Tame Bridge the Bescot facilities extend with a siding and buffer stop flanking the main line under the Walsall Road bridge. Above-left gives a closeup of the previous shot. Above-right is practically the only interesting perspective at which to shoot the station: taken from the Walsall Road overbridge in the direction of Birmingham. Not a station I'd recommend visiting.